David Siteman Garland is what we’d all be if it weren’t for the voices in our heads holding us back. When he sees an opportunity, he acts without hesitation. 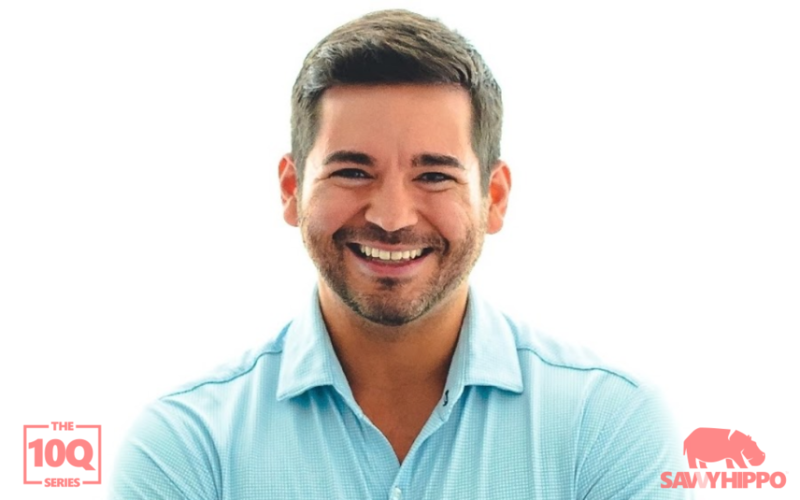 From launching his own local access TV show to building a renowned brand and one of the most popular and successful seven-figure businesses online, David is a man of action. I doubt I’ve ever crossed paths with someone who spares less time wishing and waiting, which is why it’s such an honor and a privilege to bring you the mind of a friend, colleague, and model who offers a tantalizingly compelling picture of what business and life can be like if we only have the courage to seek out and seize the opportunities before us. 2008. I started with what I called a web show (podcast) and blog focused on interviewing entrepreneurs. I’d say one thing that is pretty unique is we have gotten more and more specific over time and also I’m not afraid to make big changes in our business. When I started, I hosted a very general show about entrepreneurship. Now we are laser focused on helping create and sell online courses. It’s almost a 360-degree turn. I’m never scared to change or evolve. I’m never scared to change or evolve. No fear necessarily but one thing that was a little scary in the first few years is that my income was 99% dependent on a few sponsors. I didn’t really have control. Meaning a sponsor could wake up on the wrong side of the bed and wipe out my business and that would have sucked. That’s really when I got into the world of creating my own products and programs. You get to control your own destiny. SH: If you could only use one method to earn income, which would you choose? It was definitely changing from the podcast-create-content-24-7-have-sponsors model to creating online courses and trainings. SH: If you could go back in time, what business advice would you give your younger self? Always a tough one to answer. I don’t think I would change a thing because everything I learned/tried/experimented with got me to where I’m at now. Advice to younger self would just be to keep going. Advice to younger self? Just be to keep going. Not focusing on revenue early enough. You can get to profitability quite quickly (compared to pretty much every other business model out there). SH: What book should we be reading? What expert should we be following? I like anything by Ben Mezrich (Bringing Down The House, Accidental Billionaires, etc.). They aren’t necessarily “business books” but his writing is so compelling and fun. John Lee Dumas. Everything he touches turns to gold. Learn from it. SH: Your best advice in six words? Fit your business around your lifestyle.